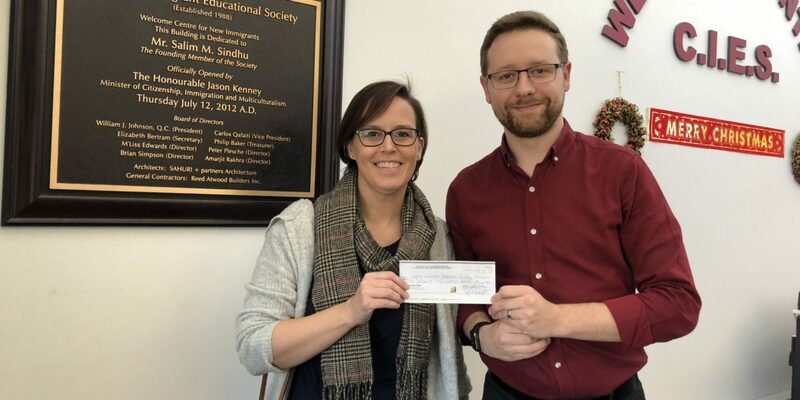 This week the Calgary Immigrant Educational Society was proud to receive a generous $6,500 donation from the Alex Schaap Charity to Educate and Nurture Development (ASCEND). Board member Tanya Schaap was kind enough to come to our Whitehorn location to deliver the gift which will be committed to adding new interactive technology in the classroom. In memory of Alex, 100% of ASCEND’s fundraising goes back into the Calgary community where is fosters digital literacy for families and individuals alike. We’re grateful for their support and look forward to continuing this partnership in the years ahead. To learn more about ASCEND and the work that they do, click here.